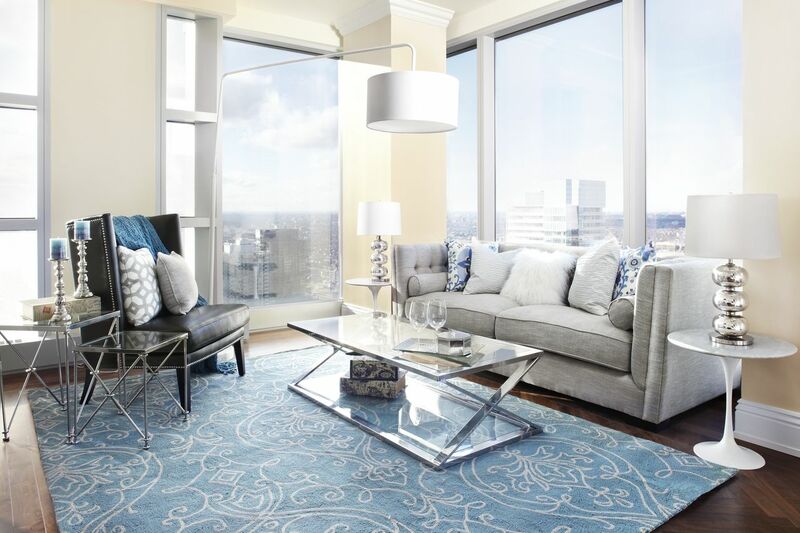 High up in the Toronto Sky, our clients purchased a condo at the Ritz Carlton with an empty palette. 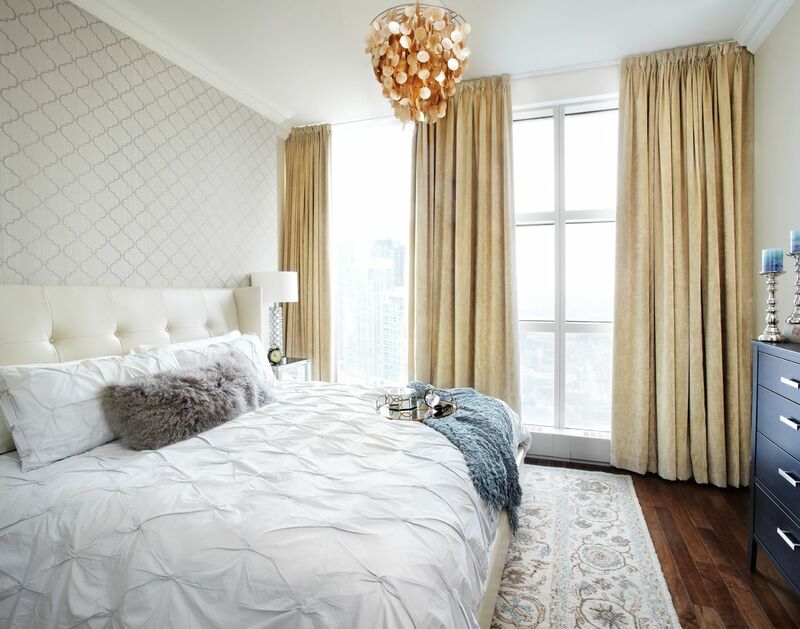 They hired LUX Design in Toronto to create an airy and luxurious home for them. Starting with the entry way LUX Design installed an abstract floral wallpaper to draw your eye inwards towards the main living space. Along with a glass console and mirror which provides a place to set you keys or other items once you enter the suite. Inside the living room we wanted to bring the breathtaking views of Toronto and the blue sky, inside. We did this by anchoring the room with a large sky blue rug. The glass and chrome coffee table and airy side tables allow the eye to sore over the living room and through to the skyline view. The dining room hosts a large wooden table with comfortable dining chairs for long dinners with family and friends. The bedroom is warmed up with gold tones which still complement the blue accents throughout the Interior Design of their home. This entry was posted in apartments, bedroom, living and tagged apartment, bedroom, house idea, houseidea, living, LUX Design, Ritz Carlton Residences on October 16, 2016 by admin.